Guerrini & Thompson, P.C. 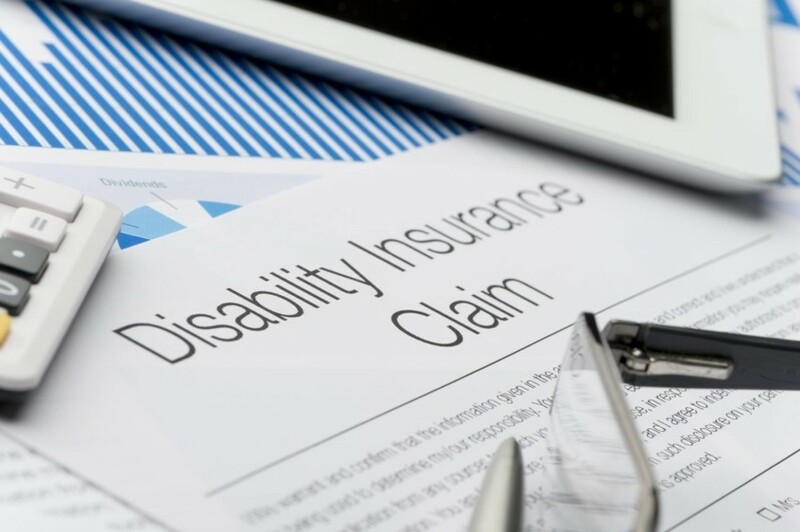 has two lawyers, Bernard A. Guerrini and John L. Thompson whose goal is to provide personal and professional attention to each claim for long term disability benefits. When you call the Guerrini & Thompson, P.C. firm, you will speak to one of these lawyers and not a case screener. These lawyers personally handle each claim from beginning to end for the entire State of Texas. If you are reading this because you have been denied your short term or long term disability benefits, you are experiencing one of the most stressful periods in your life. You thought that the insurance company would help you when you became disabled, but it has let you down by denying your claim. You cannot believe the insurance company that took your premiums for so many years has denied your claim. You cannot understand how the insurance company could deny your claim when you have provided all of the information that the insurance company asked for and have provided the opinion of your own doctor that you are disabled. You are not able to work. The insurance company will not pay you your benefits, but the bills keep coming in. You do not know where to turn for help. We are experienced ERISA attorneys and we are here to help you with your claim. When you call, you will speak to one of us. You will not speak to a case screener or a paralegal. We will personally visit with you to learn who you are, to identify your medical issues and to understand how you are prevented from working. We will then make an appeal strategy that fits your claim. We will do all of this personally. We will gather the evidence needed. We will work with your doctor. We will recommend other tests if needed. We will work together to prepare an appeal that will maximize the chances that your claim will eventually be approved. If your appeal is denied, we will file a lawsuit in the appropriate court, as we have done for numerous clients before you. We will work up the case to maximize the settlement possibilities and/or to actually try the case if appropriate. You should have a lawyer assist you with your claim. The insurance companies do this every day, but you have only one claim. The most critical time when you need a lawyer is during the administrative appeal to the insurance company. The lawyer you hire should be experienced in such matters and know the methods by which the insurance company will deny your claim. You should ask any lawyer how long they have been handling such claims, what percentage of their practice involves long term disability cases, and the approximate number of claims, appeals and lawsuits they have handled. As important, the lawyer you retain should know the courts and judges in the area, so that your case can be filed in the most appropriate court. Bernard Guerrini is experienced in ERISA long term disability claims. Bernard Guerrini has been licensed to practice law since 1978. Of this 40 years of practice, the last portion has been primarily handling ERISA short and long term disability cases. John Thompson has been licensed to practice law in Texas since 1997. After 21 years of litigating business disputes and insurance matters he now primarily handles ERISA short and long term disability cases. appeal your case to the Fifth Circuit Court of Appeals, if appropriate. Employer provided disability insurance benefits, which are governed by the Employee Retirement Income Security Act (ERISA), pays a portion of a claimant’s earnings if they cannot work because of illness or injury. Typically, the first six months of disability insurance benefits are paid by what is referred to as short term disability (STD) insurance. Typically, the benefits paid thereafter until the age of 65 are paid by long term disability (LTD) insurance. Both STD and LTD insurance benefit claims are started with a notice of claim that must be given within a certain period of time that is stated in the insurance policy. Typically, the process of providing notice of claim starts with an inquiry to the human resources department. The claimant should be provided with a three-part form or with a web address to file the claim. On the form, one part is filled out by the employer, one part by the claimant’s doctor and one part by the claimant. See, Frequently Asked Question (FAQ’s) No. 11. This form is sent to the insurance company. Within a specified period, the insurance company should contact the claimant for the continuation of the claim process. If the insurance company does not contact the claimant, the claimant has an obligation to provide additional information required by the policy. See, Common Issues in ERISA Claims II 1a. Once a claim is made, the insurance company has a certain period of time to make a decision. Special circumstances allow the insurance company to obtain an extension of time. If the insurance company determines to pay the benefits, it will issue monthly checks for the STD or LTD benefit in the amount calculated according to the terms of the policy. If the insurance company determines that it will not pay the benefits (See, FAQs Nos. 23 and 24. ), it must issue a denial letter with the items required by the ERISA regulations. See, FAQ No. 13. The denial letter, among other things, must advise the claimant that the claimant has 180 days to appeal the denial determination and identify the information necessary to perfect the appeal. The additional information typically includes office visit notes, doctor letters, tests and/or films. If the claimant is not willing to accept the adverse benefit determination, then the claimant must file suit. This suit is generally filed in a federal court. The case is presented to the judge without a jury and is limited to the evidence in the administrative record with respect to the merits of the claims. See, Common Issue in ERISA cases, II 2E. The case typically is decided on the basis of whether the insurance company abused its discretion in denying the benefits. See, FAQ No. 17. The conflict of interest of the insurance company is a factor that is considered by the judge. The time involved in an ERISA STD or LTD insurance benefit claim can be substantial and will tax the financial endurance of any claimant. From the date a claim is filed, it may take the insurance company 90 days to make a determination, the claimant may take 180 days to file an appeal, the insurance company may take 90 days to reach a decision, if necessary, suit is filed with a trial date of 13-15 months, a decision by the judge may take 6 months, an appeal to the court of appeals adds 18 to 24 months. The entire process may total 43 to 51 months. See, Common Issues in ERISA cases, Taxability II 9 on this site. Taxability of the benefits depends on whether the claimant paid the disability insurance premium with after-tax dollars. In such a case, typically the benefits would not be taxable. If the employer paid or the claimant paid with before-tax dollars, typically the benefits would be taxable. Another issue relates to the deductability of any attorney’s fees and whether such deduction is above the line or below the line.. Representing people who deserve short and long term disability benefits. Also handling ERISA litigation, benefits claims and settlements. Bernard A. Guerrini and John L. Thompson represent people who deserve short and long term disability benefits. Also handling ERISA litigation, benefits claims, and settlements. Serving all of Texas.